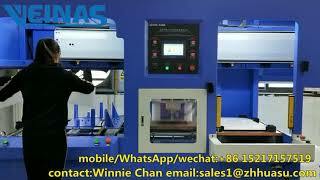 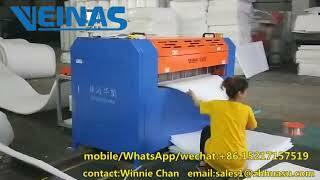 Veinas, the latest techonlogy EPE foam machine manufacturer from China. 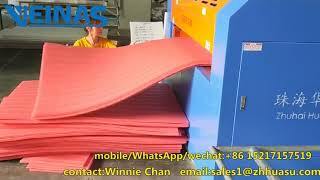 Our EPE foam machine is used for making epe foam packing product/protective packaging product. 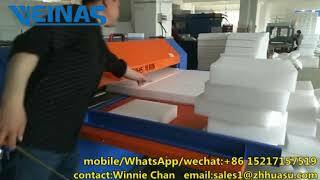 Product include EPE foam laminatiang machine, EPE foam cutting machine, EPE foam grooving machine, EPE foam punching/die cutting machine, EPE foam wast removing machine, EPE foam fitment machine. 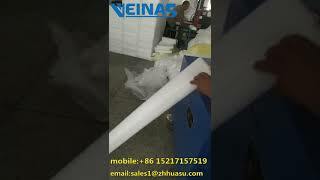 Very easy to operate, saving lots of money for the labor cost, full-automatic, exceedingly high working efficiency, PLC servo control are the advantage of Veinas EPE foam machine.